← Qui est Li Na, la finaliste de Roland Garros? 3 years ago, i could only see Chinese tourists enjoying the beach with big yellow rubber rings and similar unsexy swimsuits. 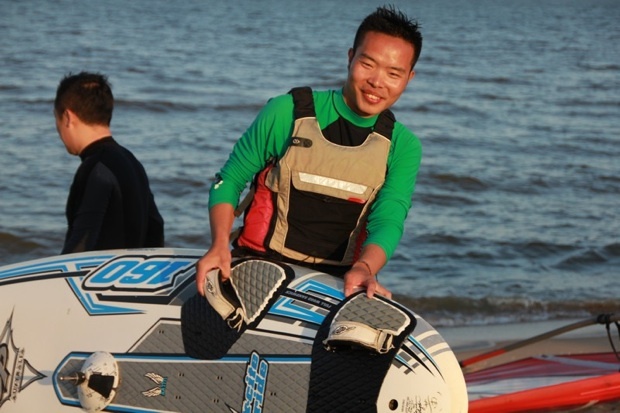 These days, i went to a small sea side resort in Hebei province with my Chinese friend and we were stunned by sophisticated windersurfers and kitesurfers. 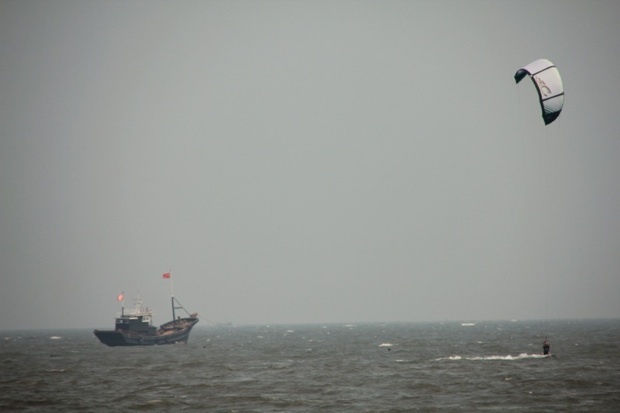 Talking with these Beijingers about their passion for sailing was fascinating too. 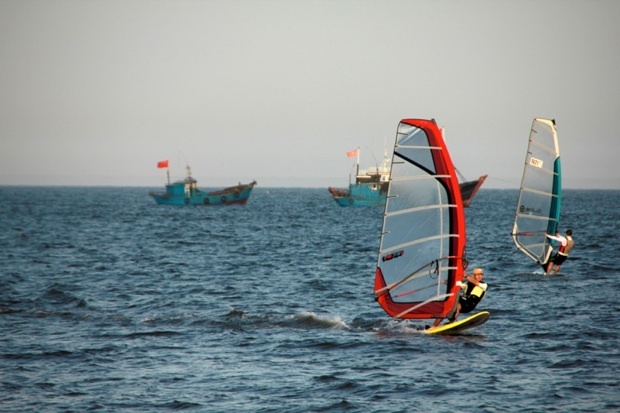 This entry was posted in daily life, photos, reportage and tagged china, chine, funboard, hebei, kitesurf, voile, windsurf. Bookmark the permalink.